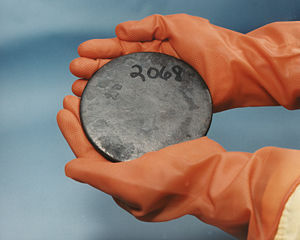 Uranium is the fuel for nuclear reactors. It is an actinide, and one of two actinides that are found in the earth's crust in more than trace amounts (the other being thorium). Nymex (NYSE: NMX) - The New York Mercantile Exchange offers a uranium futures contract for 250 pounds of yellowcake (U308). 2010-11-12 - (mw) - Uranium miners surging - Is there room left to run?